You’ve seen the lush rainforests, mountains, desert, and perfect beaches of the Caribbean, how well do you really know the most popular destination in cruising? Take our quiz and find out! 1. Where are “doubles” a favorite snack? 2. Which island has a sightseeing train that once transported sugar? 3. Which island has the world’s oldest rum distillery? 4. Where is the Caribbean’s current “Green Hotelier of the Year” located? 5. Where was the famous “Painkiller” cocktail created? 6. Where is Bathsheba Beach? 7. The French never ruled which of the following islands? 8. Which of these islands does not produce chocolate? 9. Which island is famous for the Pitons? 10. What country’s coastal waters are protected as a national park? 11. 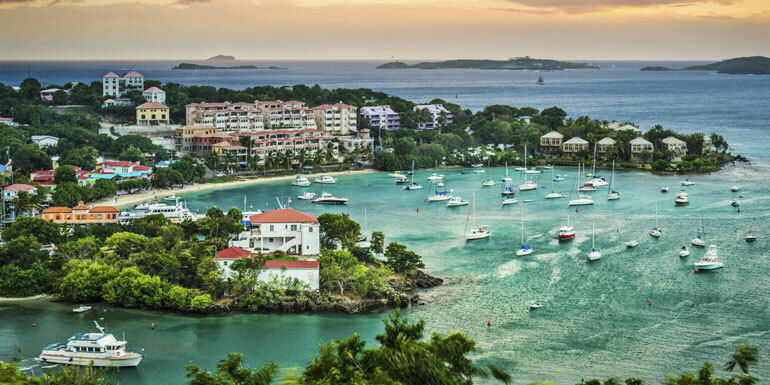 Which spice isn’t grown on Grenada, the “Spice Island?" 12. Which country has a reservation for the Caribbean’s indigenous people? 13. On what island can you find a statue paying tribute to the rum-making pirate Richard Le Noir? 14. What are the ABC Islands? D. Where Caribbean school children go to learn the alphabet. Quiz: What's your Caribbean IQ?